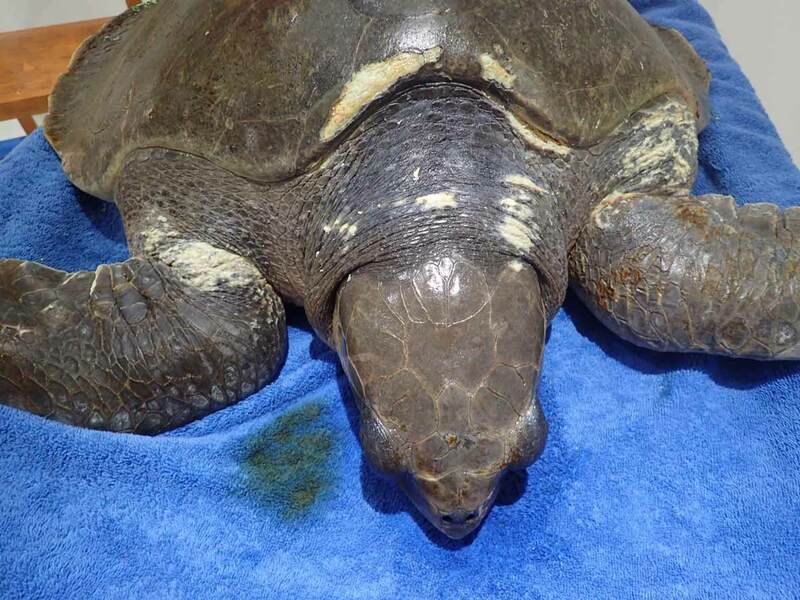 Nanni is an adult female Olive ridley turtle who was found in Lhaviyani atoll. Nanni came to the rescue centre via Naifaru Juvenile Rescue Centre. 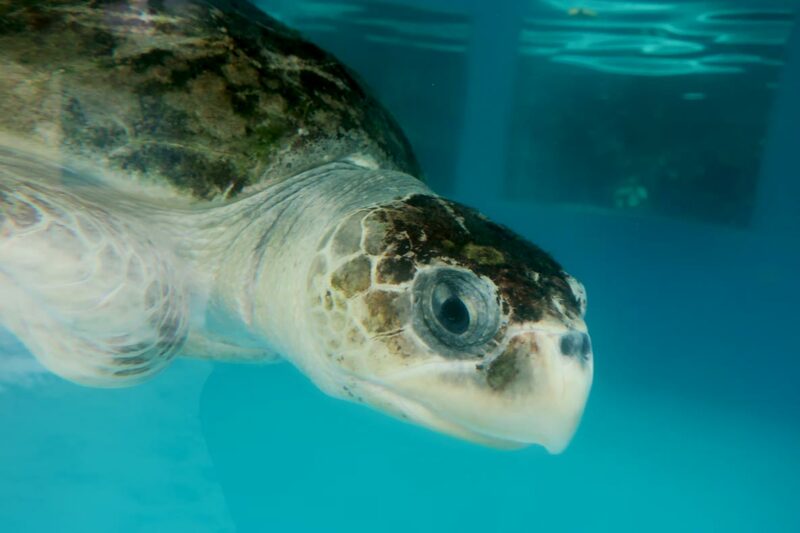 She arrived with a severely swollen front left flipper and a wound so deep we could feel the bone. 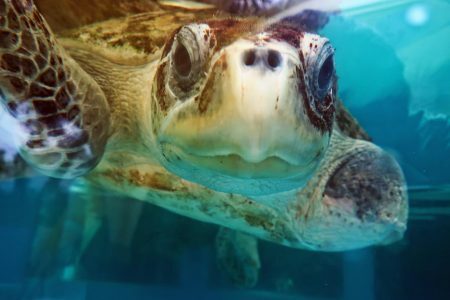 Unfortunately we could not rescue Nanni’s flipper; it was amputated 10 days after she arrived. Nanni’s wounds healed nicely, however she was having problems using her remaining flipper. 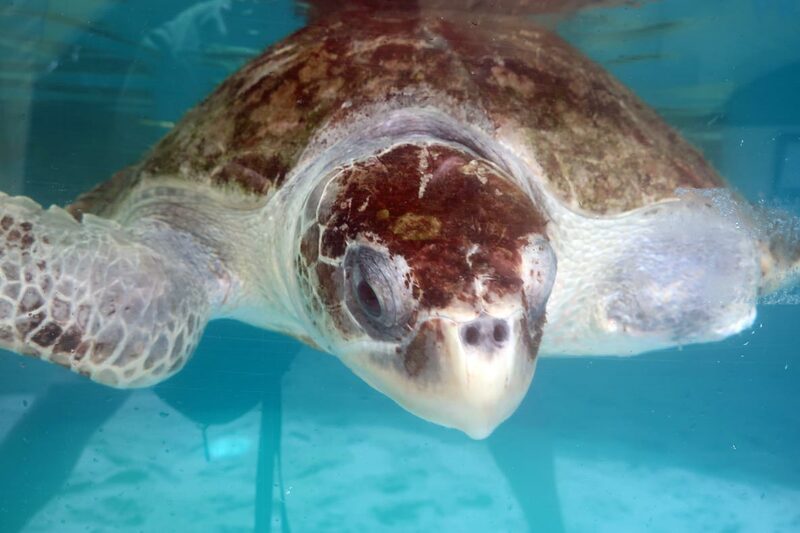 Daily physiotherapy sessions improved the range of movement and strength of her flipper and Nanni was successfully released back to the ocean on 17 January 2018.